This package will take you to surf and discover the fantastic Illawarra region! This area of Australia is located on the East Coast just south of Sydney. The Royal National Park, with which it shares the border to the north, is the second oldest national park in the world after the US Yellowstone. It overlooks the Pacific Ocean coast and extends for 150 km². Inside there are numerous activities that can be done: trekking, biking, surfing, picnic with amazing views. The Illawarra region is an area not yet known by big tourism, but it certainly deserves a visit because it has nothing to envy to other places more famous in the red continent. Some villages are really characteristic: Thirroul, Shellharbour and Kiama to name a few. Inland nature is really amazing and incredible views. Most tourists travel this region to Jervis Bay, another national park that host the world's most white beach. The coastline of the Illawarra region got many different breaks, for all level of surfing, with empty waves and amazing beaches. The surf house, a newly renovated beach motel with live music at the weekend, is just an hour from Sydney and is just 200 meters from the ocean. Our friendly team is ready to welcome you and introduce you to the surf! The week includes 9 lessons in water and an afternoon of video analysis. We will visit the incredible spot of The Farm National Surfing Reserve (with two sessionsin the water), we will make an easy trek in the magnificent rainforest with waterfalls and wonderful cliff overlooking the ocean, mega BBQ on a Friday night, a rich breakfast every morning , Surf-skate sessions and much more! The ingredients for an unique week of surfing are all here! In this part of Australia the water temperature varies from 18 ° to 24 ° + in summer. A 3.2 mm long wetsuit is enough in winter unless you are really cold; short wetsuits or even boardshort in summertime. In the mid seasons a 3.2mm long wetsuit is more than enough. Surf booties are not necessary. For those who bring their own surfboard, a spare leash is always recommended. 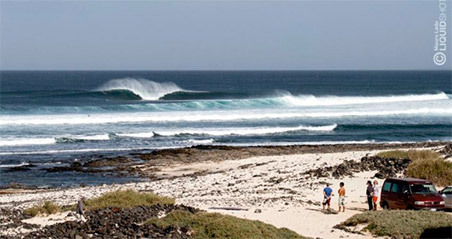 In the surrounding area there are several surf factories and surf shops really well stocked. The surfcamp is easily accessible by train directly from Sydney International Airport or Central Station city center. The train trip is highly recommended because it's cheap (less than $ 10 per way), fast (less than an hour and a half) and it offers really cool views. Alternatively, driving a car, from south Sydney for an hour and a half. The surfhouse has a big parking. Always bring your passport with you. It is highly recommended to visit Australia with a private insurance coverage. There is not much to bring! Towels, sheets and soap are also included. For the rest, take some dollars for lunches and dinners! Sunscreen and comfortable shoes for some excursion.